Protect your carpets - Protect your family! Dirty and dusty carpets are the perfect home for disease-causing germs and will likely to cause you and your families allergies and other known respiratory problems. Don’t put your loved ones at risk and spend a little on thorough carpet cleaning! Unclean carpets become the breeding ground for disease causing bacteria and germs. In addition, the dirt and dust embedded deep within the fibers of the carpet can cause respiratory problems and allergies. This is why you need more than a casual vacuum cleaning. Who do you trust for impeccable services in carpet cleaning? You can’t trust your business or family’s health to just about anyone, can you? When the matter is so serious and you aren’t looking at only aesthetic beauty, it’s best not to settle for anything other than the best. All Clean is ready and equipped to professionally clean your carpets to your satisfaction. It’s time to call in the professionals! If you're looking for no-nonsense professionals, you've found the right place. We know what it takes to get the job done right, and we've got the happy customers to prove it! Knowing how to clean a carpet isn’t the only factor in getting a job well done. You should also know what cleaning agents and techniques are suitable for different types of carpets. If you don’t have this kind of specific knowledge you may actually be doing more harm than good if attempting to clean your carpet yourself. All Clean staff are trained to recognize different carpet materials and know exactly what method to use without causing damage. Placement of protective corner guards, pre-conditioning of all soiled areas, spot treatment where necessary, and finally a neutralizing soft water rinse that leaves your carpet free of any cleaning residues. Typical dry time is 3-4 hours. Pet Stains? Pet Odors? NO PROBLEM! Our carpet technicians are thoroughly trained in all areas of stain removal. Carpet and upholstery cleaning using Hot Water Extraction combined with GREEN CLEANING techniques, provides a safe, clean environment for your family and pets. Begins with the placement of protective corner guards. We then apply our tile cleaning mixture, allow a few minutes' dwell time, and extract with a neutralizing pressure wash that blasts the dirt and grime from both the tile surface and the pores in the grout. At this point if you have opted for sealant, we will fan-dry the area and apply sealant. It collects dirt, grime and spills which often causes discoloring of the surface. Regular mopping and spot cleaning won’t reach the hidden dirt that lies deep within the pores of your grout lines. Our state of the art cleaning removes dirt from deep within the tile and the pores of the grout. Once the tile is clean a finishing coat of our clear or color sealants protects your grout and keeps it looking great. A clear seal penetrates the grout surface to create a protective barrier against spills and permanent stains. It also ensures that future cleanings yield the best results. Our color grout sealant is our premier sealing service. When grout is permanently stained, even the best cleaning methods can’t reverse the discoloration. Our exclusive system restores uniform color and provides a spill-proof barrier. 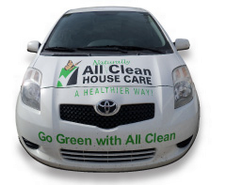 There are a few things you can do before we arrive that make sure you get the best clean possible from our visit. 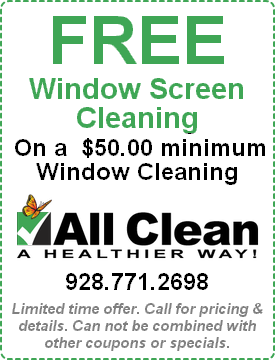 First, make sure all areas we'll be cleaning are free of clutter and small objects. Then, vacuum or sweep the area to pick up any surface dirt. This ensures that our pre-treatments can work most effectively to clean your floors. You may also want to remove any knicknacks or breakables from furniture that will be moved. Some pets may need to be secured because the door will remain cracked for hoses during the cleaning. With great floors comes great responsibility. We hope you'll want to keep your tile or carpet as clean as can be, so with that goal in mind we've put together a few care guidelines to keep your floors fresh between visits. Vacuum once a week per pet/family member; so for a family of 3 with 1 dog, we recommend vacuuming 4 times a week. Clean your vacuum's filter regularly - it can't do its job well if it's clogged up. When you vacuum, go slowly, with multiple passes in different directions for highly soiled areas. If you use a mop and bucket, don't just do one pass over each area. This often leaves residues on the surface of the tile which attracts more gunk. Furthermore, improper mopping only moves the dirt around, usually into the porous grout lines where it's harder to get clean. We service the following area communities: Prescott, Prescott Valley, Chino Valley, Dewey-Humboldt, Cottonwood and the Camp Verde area. You can request a quick quote or contact us to arrange a complimentary, on-site consultation and estimate. We will be very happy to discuss your expectations and customize a cleaning schedule to meet your specific needs. If you’re not 100% satisfied with any of our services, simply notify us within 24 hours and we will gladly come back to clean what you were not happy with ... at no charge to you. Licensed, Bonded, Insured and Identity Theft Certified!